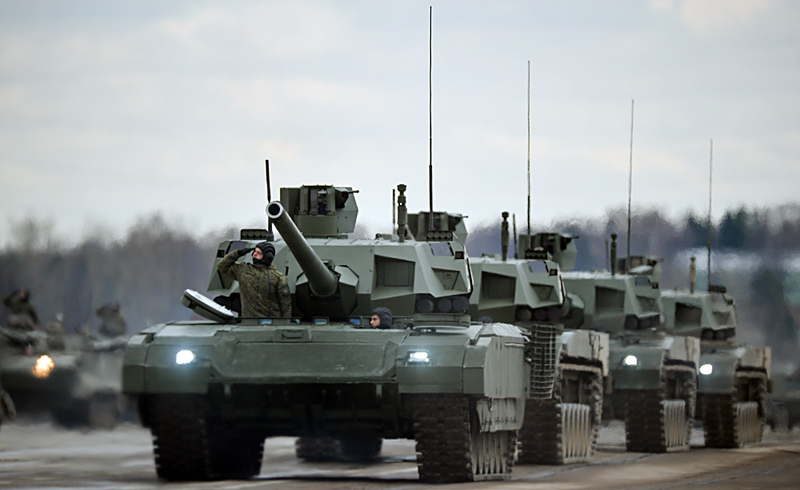 Tanks "Armata" of the mechanized columns of the Central Military District's Moscow Garrison during the rehearsal of the military parade to mark the 71st Anniversary of the Victory in the Great Patriotic War, at the Alabino training ground, Moscow Region. The end of a U.S. embargo on arms sales to Vietnam could be a game changer. On May 24, Barack Obama fully lifted the U.S. embargo on arms sales to Vietnam. At the moment, Saudi Arabia is the biggest importer of American arms (accounting for 9.7 percent of total U.S. arms exports), followed by the UAE (9.1 percent). Russia’s biggest export market is India, which accounts for 39 percent of Russian arms exports, followed by China and Vietnam, both of which account for 11 percent. Since 1991, Vietnam has bought 129 missiles and missile launchers from Russia. This comprises mainly of guided or unguided rockets, Man-Portable Air-Defense Systems (MANPADS), ballistic or cruise missiles capable of delivering a warhead or weapon of destruction to a range of at least 25 kilometers. According to the UN Register, this sub-category includes remotely piloted vehicles with the characteristics for missiles as defined above but does not include surface-to-air missiles.